MMO MMORPG News·Articles·AdventureQuest Worlds Reaches 6 Million Players! AdventureQuest Worlds Reaches 6 Million Players! Launched just over six months ago, the popular web-based MMORPG AdventureQuest Worlds is proud to announce that it has exceeded 6 million registered players. 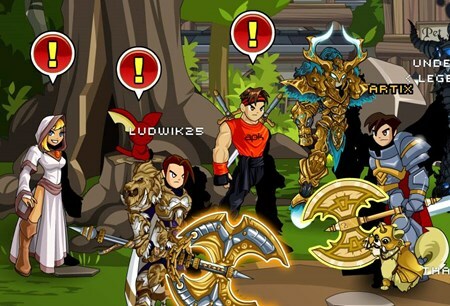 Created by the home grown team at Artix Entertainment, LLC, this anything-goes fantasy MMORPG features chat, real-time-combat, wars, and live events, and has had more than one brand new release per week since launch. To celebrate, AdventureQuest Worlds is preparing to release its first world boss (or Chaos Lord). This is the exciting conclusion of their first storyline which takes place along an M.C. Escher inspired valley featuring original and creative 2D game art.